Mrs. Asma Seddiq Al-Mutawa is the founder and president of Salon Al-Multaqa: a bi-weekly book club for Arab women. The book club is a space for women in the region to discuss both Arab and International literature. Recently recognized as a member of the UNESCO Book Clubs, Salon Al-Multaqa plays an important role as a literary hub for Arab writers and intellectuals in the region. The Salon is far from her only contribution to the culture of the region. She also runs the Education Program at the Sheikh Mohammed Bin Khaled Al Nahyan Cultural Center. Active in regional aid and development organizations, Asma is an advisor to the UAE Assistant Director General for Culture in UNESCO, a consultant to the UAE Regional Director of Doctors without Borders, and their regional Goodwill Ambassador. She is a member of the Sorbonne University Friends Committee of Abu Dhabi and the founder of the Friends of Al-Quds University Association. 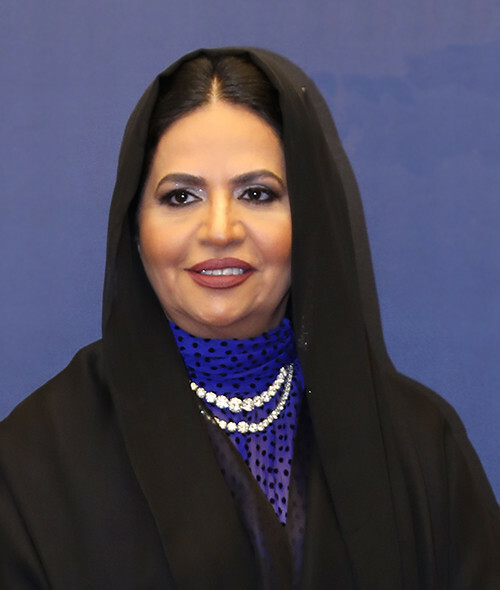 Asma holds a Bachelor’s Degree in Business Administration from the United Arab Emirates and a Master’s in Contemporary Islam from Zayed University.